Having returned from my short vacation, i caught up with my work email and i have discovered something interesting in my inbox dated 8th of March. Therefore the clinic will be closed from 8th March till 14th March 2015 . Dental service will resume in Ruwais Medical Centre from 15th March 2015. The timing will be from 8:00 AM – 10:00 PM. Inside RMC you have Dental Clinic (7AM to 10PM), Pharmacy (Prescription only) and General Medicine (8AM to 6PM) section for general public. ADNOC employees are invited to use Ruwais Hospital for their general medical needs. 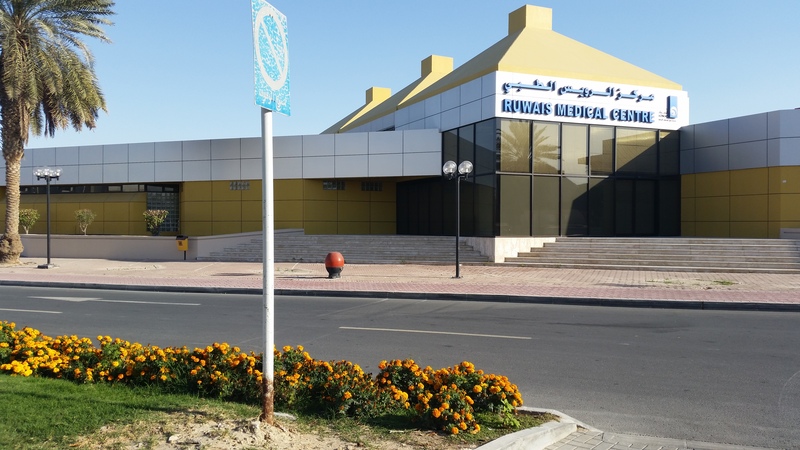 The location of the Ruwais Medical Centre is right next to the Abu Dhabi Market (West Market) and the nearby mosque. You can clearly see the building on the right side of the main road if you’re leaving Abu Dhabi Market and going towards Emirates Market. Share the article with your family and friends. I’d like to thank you for inform us about the new things around us. Can you provide us with the informations about the courses and activities for kids and ladies around the rwais? Can you put the website for the ladies club or post activities they have. I am looking for a job in Al Ruwais, is there any shops in mall you know that are hiring for now? I hope you can help me Sir, thank you so much..
Hi…Would you please inform us regarding vet doctor/clinic/hospital in ruwais area…..We found so many cats with sickness and injuries and i feel really bad that i can’t find a vet to help them, thank you for taking your time to read this. If you read the adnoc ruwais accomodation rules, pets are not allowed. No vet clinics are available. Cant you have a nice response? The response is nice, because it’s true. Read the accomodation agreement thoroughly. True, such a rude reply @ryan! they needed a help here, not to educate us on how to read the rules blah blah. if you dont know any vet then say it, period. anyways, there is a horse-camel vet in Ghayathi, not for feline or dogs but it can work in case of emergencies for your little furry friends. Thanks Ryan.. you are such a good supportive person, but some people consider the facts as being rude while their response is rude. 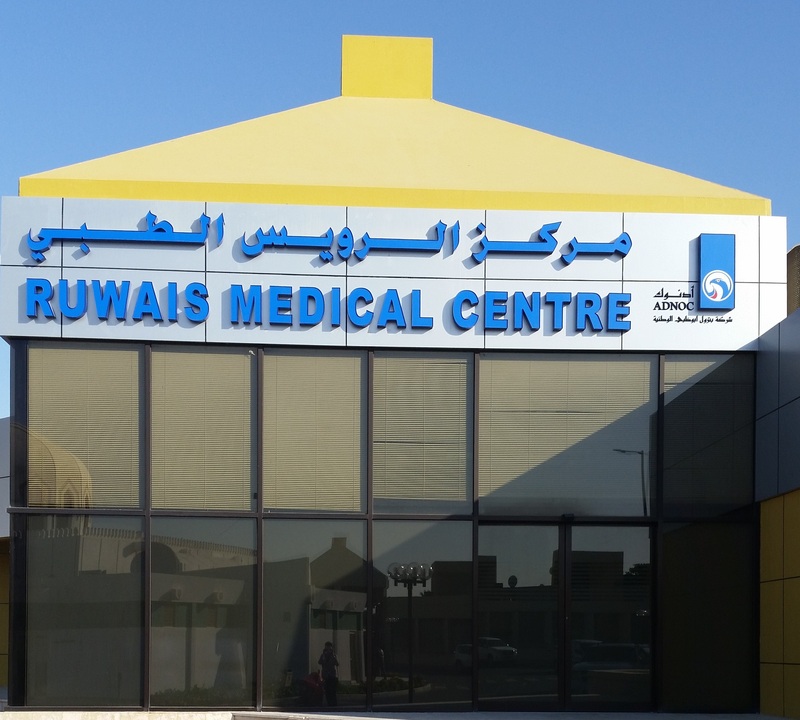 Is there a Radiology Facility in Ruwais Medical Center or any of the Ruwais health care facility? There is a Radiology department inside Ruwais Hospital. You may call the Hospital (Clinic) to find out the working schedule. I personally use the Ruwais Medical Center for dental appointments only. I want to apply to Ruwais medical center for billing staff/customer care/call center agent, can you guide me how can I get job there. Hi! I would like to apply as a Nurse in Ruwais Medical Centre. I am currently here in Ruwais right now. Can you guide me please as to where can i send or present my application. hii i would like to apply as a registered nurse in ruwais medical center.can i hav ur career email id. Sir I want to apply as medical lab technician. Is there a laboratory facilities in ruwais medical center? SIR I WOULD LIKE TO APPLY AS A STAFF NURSE IN RUWAIS MEDICAL CENTER.NOW I AM IN UAE.SIR CAN YOU PLEASE GUIDE ME TO SUBMIT AN APPLICATION.THANK YOU FOR TAKING YOUR TIME TO READ THIS. I just recently accepted an offer letter for ADNOC RUWAIS HOSPITAL through Response Plus Medical (new partner agency for manning the hospital). Can you give me a brief background on how the working condition is in the hospital and how live-able the provided accommodation is. Any input will be very much appreciated. Is there darmatologist in ruwais hospital? Is there any vacancy in dental centre ruwais…if its please let me know and also the email id to which cv ti be sent. Hi! Can you please give me a direction on how to reach Ruwais Hospital (is it the same Ruwais Medical Center?) coming from Abu Dhabi Al Wahda bus station. I have an ACLS to attend in Ruwais Hospital. Me and my fellow companions doesn’t know how to reach there and we are also worried we might miss the course timing of 0800H. Good day, I am Michelle Ann Cueto. I would like to apply for Healthcare / Nursing / Patient Assistant in hospitals in Ruwais. I am currently working in the same field here in Dubai, hence, I’d love to work In hospitals in Ruwais.. would you know any vacancy? still hiring for LAB TECHNICIAN?